Xavier University Montessori Lab School was established in 1966 as a demonstration project to reflect the philosophy and teaching methods of the Montessori Teacher Education Program at Xavier University. The directive of the Lab School was to serve as a venue for pre-service teachers, provide an interactive learning environment for Xavier undergraduate and graduate students, as well as providing an observation facility that would service the awareness of Montessori education to a broader community. A grant from the Carnegie Foundation provided money for the development of the Lab School. In 1968, the Joseph Building was constructed and two Early Childhood (Ages 3-6) Montessori classes moved into the child-scaled ground floor environment. In 1974, Ms. Martha McDermott, who traveled to Bergamo, Italy to train and receive American Montessori International (AMI) Elementary certification, initiated an elementary level class for ages 6-9. An Upper Elementary class for ages 9-12 was added in 2013. 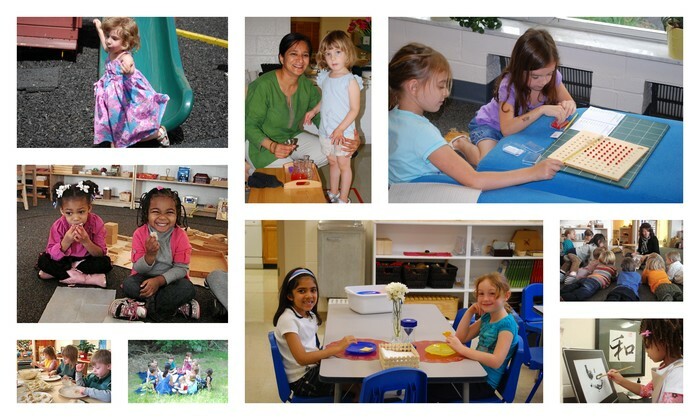 Head Teachers in the Lab School are credentialed by the American Montessori Society (AMS) and licensed by the State of Ohio. The Xavier Teacher Education Program Advisory Council, consisting of graduates and educators in the greater Cincinnati area, meet twice a year. Suggestions for changes in the program are made. These changes are reflected in both the program and school. Xavier University is an academic community committed to equal opportunity for all persons regardless of age, race, religion, handicap, or national origin.